Landslides and Engineered Slopes. Experience, Theory and Practice contains the invited lectures and all papers presented at the 12th International Symposium on Landslides, (Naples, Italy, 12-19 June 2016). 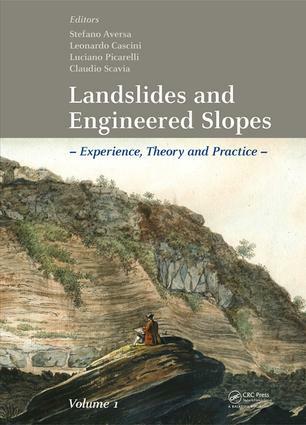 The book aims to emphasize the relationship between landslides and other natural hazards. Hence, three of the main sessions focus on Volcanic-induced landslides, Earthquake-induced landslides and Weather-induced landslides respectively, while the fourth main session deals with Human-induced landslides. Some papers presented in a special session devoted to "Subareal and submarine landslide processes and hazard” and in a “Young Session” complete the books. Landslides and Engineered Slopes. Experience, Theory and Practice underlines the importance of the classic approach of modern science, which moves from experience to theory, as the basic instrument to study landslides. Experience is the key to understand the natural phenomena focusing on all the factors that play a major role. Theory is the instrument to manage the data provided by experience following a mathematical approach; this allows not only to clarify the nature and the deep causes of phenomena but mostly, to predict future and, if required, manage similar events. Practical benefits from the results of theory to protect people and man-made works. Landslides and Engineered Slopes. Experience, Theory and Practice is useful to scientists and practitioners working in the areas of rock and soil mechanics, geotechnical engineering, engineering geology and geology. Earthquake-induced displacement is insignificant in the reactivated Utiku landslide, New Zealand.